Watch experienced players play live and ask your questions. Learn what it takes to win at the poker table with our advanced strategies. Learn tactics and tricks from professional poker players in our video tutorials. 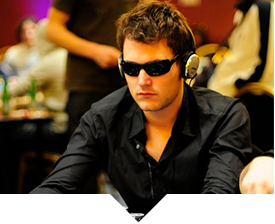 Pius Heinz joined PokerStrategy.com in 2007. In the following years he established himself as a tournament player, pocketing several six-figure scores. In 2011, he achieved every poker player’s dream by winning the Main Event at the World Series of Poker in Las Vegas for an incredible $8,715,638 pay day. Tobias Reinkemeier joined PokerStrategy.com in 2006. He started out playing micro limit SNGs and promptly established himself as a serious competitor in tournaments. 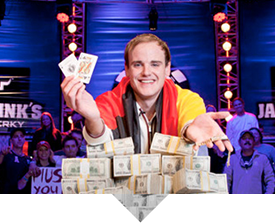 In June 2014 he finished 5th in the $1 million buy-in Big One for One Drop tournament in Las Vegas and is currently occupying top spot on Germany’s all-time money list with just shy of eight-figures in career earnings. Being a successful player requires you to constantly improve, learn new poker strategies, question your game and respond to new stimuli. Our education department, together with our over 100 freelance coaches and video producers, constantly produce up-to-date content for all skill levels. At the core of our community is a massive, vibrant forum with over 20,000 posts each day. Here our pros look after you - and not just when it comes to poker questions. Join PokerStrategy.com - the world's most established poker school. It's free!